Quarantine is a necessity in the saltwater aquarium hobby and having the necessary equipment can make or break the process. Foam Sponge Filters are one of the necessary items for a quarantine/hospital tank as it will trap detritus as well as help establish a bacterial colony to help with biological filtration. You can keep the sponge in the display tank until ready for use in a quarantine tank. 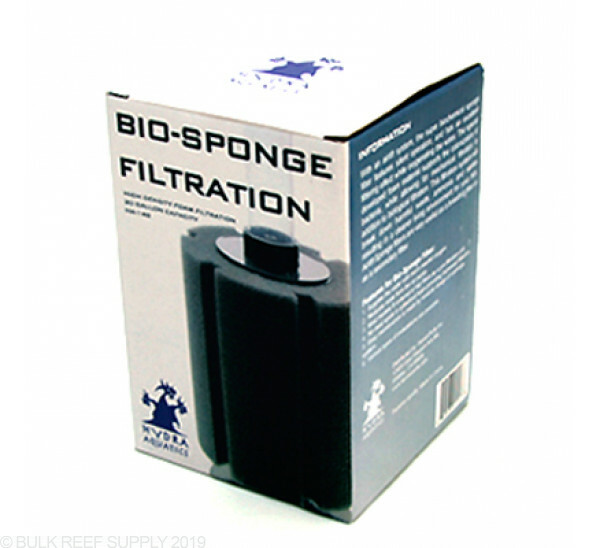 By keeping the sponge in an active tank will help seed the bacteria onto the sponge and help prevent a nitrogen cycle in the quarantine tank from taking place. 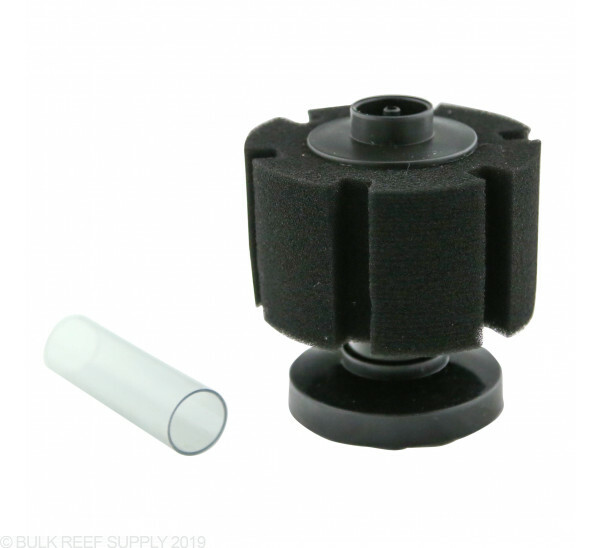 This works very well for a quarantine tank, works much better then a standard air stone. 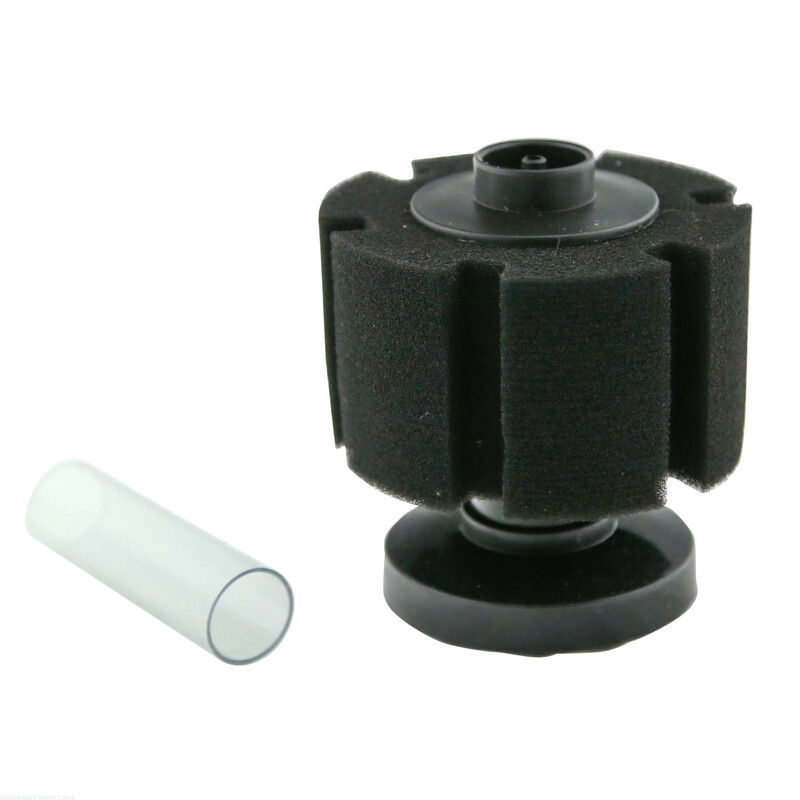 The Sponge filter works very good for a bio-filter as well, and no water is passing through the sponge so you dont need to clean/rinse it out every few days, like you would any normal sponge filter on a HOB filter. Make sure you give the sponge a good squeeze when you put it in the water, if not it will float to the top of your tank. These are designed for use with an air pump as the main source. You may be able to modify some 5/8" tubing to fit around the out side of the sponge filter clear tubing adapter.